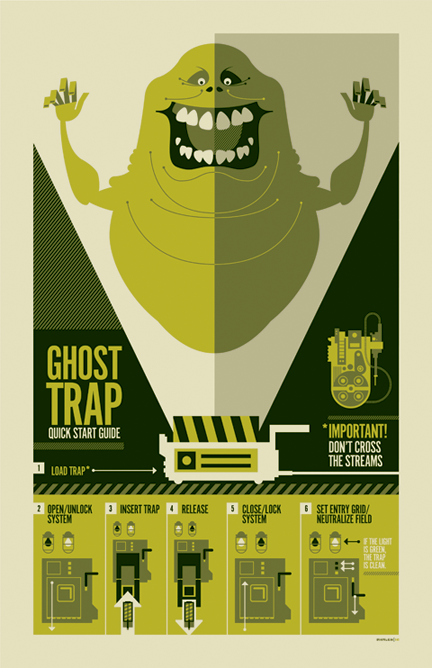 this is the first in a series of small design exercises that i'll be filtering in between larger jobs. 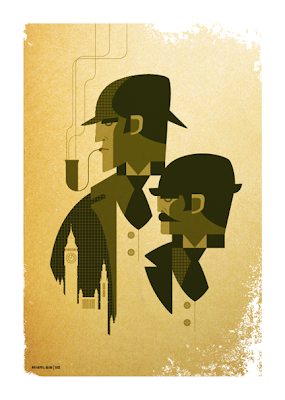 i wanted to take a bit of a break from my normal movie/super hero/pulp themed work, so i decided to envision literary characters (no doubt inspired by the robert downey jr./jude law "sherlock holmes") in my style. i've been having a blast with them so far. they're quick, fun and keep me inspired while working on other projects. i plan to make a print set out of them when i have a few more finished. 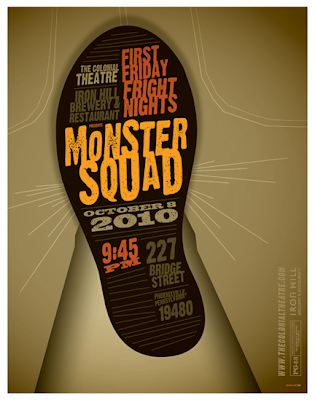 fittingly, "the monster squad" is october's first friday fright night selection at the colonial theatre! due to very limited distribution and no VHS release, this movie was completely off my radar when it came out. 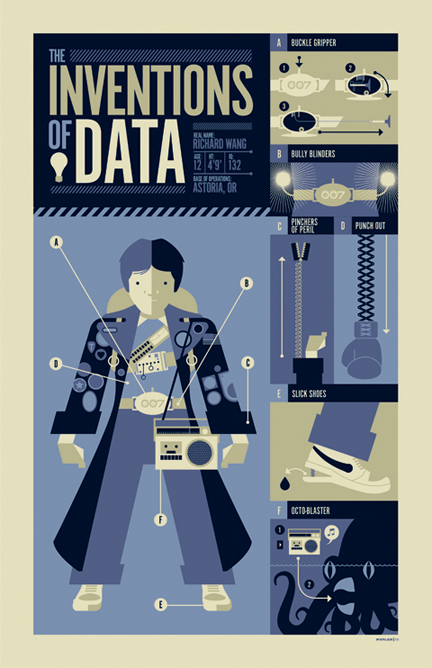 i only discovered it a few years ago when a great DVD edition came out. i was pleasantly surprised to find a movie unabashedly reflective of the 80's that re-envisioned the classic universal monsters. fun stuff. here's the show poster for next month's 3G show at the infamous gallery 1988. the exhibit will be a showcase for members of the illustration collective known as the autumn society, and will feature artwork inspired by the 80's classics "ghostbusters", "goonies" and "gremlins". 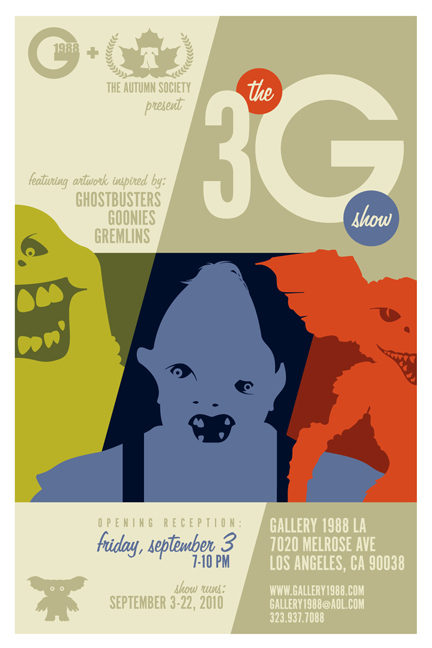 here's my second poster created for gallery 1988's upcoming 3G show. known as the autumn society, and will feature artwork inspired by the 80's classics "ghostbusters", "goonies" and "gremlins". here's the first of my 3 posters created for gallery 1988's upcoming 3G show! the exhibit will be a showcase for members of the illustration collective known as the autumn society, and will feature artwork inspired by the 80's classics "ghostbusters", "goonies" and "gremlins". 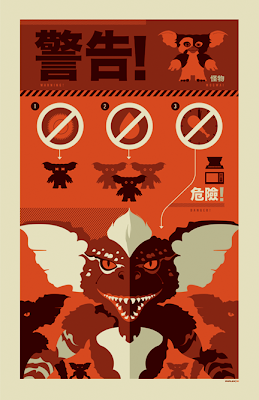 "gremlins" was one of those flicks i adored as a kid. i watched it over and over and over as a kid and i'm thrilled to have had an excuse to illustrate a piece of art inspired by it.